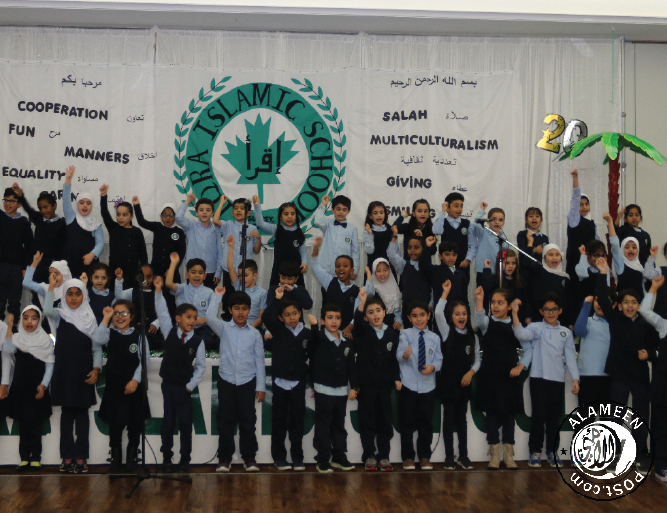 On Saturday November 24th, Iqra Islamic School held its annual fundraiser, which also commemorated Iqra’s 20th anniversary. The night featured performances from Iqra’s 460 students, as well as a guest lecture from the world renowned Dr. Jamal Badawi and Sheikh Ahmad Shehab. Numerous dignitaries, including Bruce Ralston (MLA for Surrey-Whalley) and Ken Hardy (MP for Fleetwood—Port Kells), joined Iqra to celebrate this incredible milestone in the history of Vancouver’s Muslim community. The fundraiser – which hosted approximately 500 guests – exceeded expectations with the successfully collection of over $130,000 dollars. This tremendous success would not have been possible without the help of Allah (swt), and the support of the broader Muslim community.